Our invasive plant of the week is wood rose (Merremia tuberosa), photographed above in December, 2018 along a roadside near Anini Beach on Kauai. 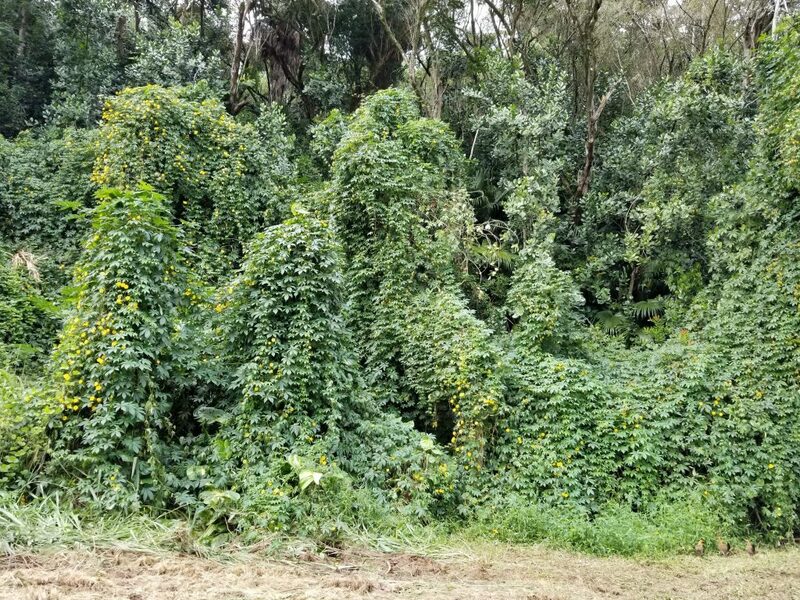 This attractive vine was introduced for horticultural use but quickly escaped and is now overgrowing trees, fences and powerlines on Kauai’s north shore and rapidly heading into the forest. Native to Mexico, this plant is also called Spanish arborvine, Spanish woodbine, or yellow moring-glory. 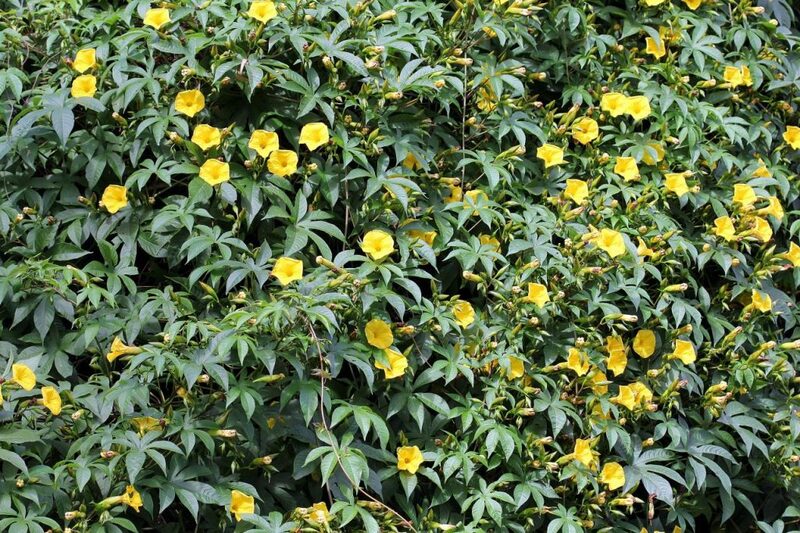 It is a woody, climbing vine with yellow, funnel-shaped flowers and seedpods that resemble wooden roses. It grows in open wet or mesic forests from sea level to 4,00 feet and readily naturalizes in disturbed areas. Invasive attributes include extremely rapid, aggressive growth that smothers tall trees and forest canopies. It reproduces both by seed and also vegetatively from fragments or discarded cuttings. 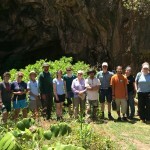 Wood rose is on the Pono Phaseout List and listed as High Risk on the Hawaii Pacific Weed Risk Assessment. Please do not use this plant – remove it wherever found.